We have a plethora of wildlife in our Sydney garden. Possibly to do with the fact that we are suckers for wildlife and they know where to come for a feed. Several of the images were taken at nearby Careel Bay and Narrabeen Lake and others taken in and around the bushland of New South Wales and Victoria. Click in thumbnail for more information on the particular image. Please email me for pricing of editorial or commercial use. 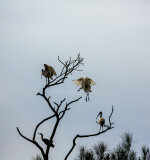 Take off - egret in flight! Kookaburra with noisy miner bodyguards! An amazing collection of wild life photography. Some shots are competition winners. The gallery is very large. I love the photography. Congratulations!!!!!!!! Those photos are gorgeous, absolutely gorgeous! Cockatoos are my love...i want more pictures with cockatoos...i love australia, and your pictures! Wow, what wonderful photography...makes me want to get out in the yard more to do the same...keep it up. 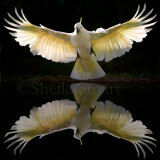 Very nice gallery thanks for sharing the wildlife from down under.. your images do them proud. Sheila, I am in awe of the photographs in this gallery! How you captured wildlife in such original ways I will never know. My hat is off to you. Quelle belle galerie animalière ! AMAZING photos!! Thank you so much - this is the best collection on the web that I have seen!! 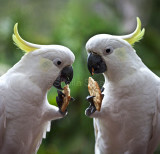 What stunning photos; I especially love the parrots -- such an array of colour! Ms. Smart, this is the best collection of wildlife I have ever seen. I am soooo envious of the bird shots ( Cockatoos). Thanks for shearing and keep your images coming! Some very outstanding shots in this gallery. Nice shooting Sheila! Nice place where you live, completely different from Switzerland (which is also great). So your great pictures are an interesting insight for me. Thanks a lot! A truly superb gallery Sheila. We are so fortunate living where we do on this earth. Well done and top marks. You live in Paradise. That is so fortunate for a photographer of your talents. OUFF! WOW! BRAVO Sheila ! Your gallery is fantastic. Perfect captures with good compositions, well done. makes me want to go there!!! Incredible collection of beautiful images. It must be amazing to see birds that we only see in pet stores or zoos. You have a great talent for capturing the beauty of so many types of wildlife. Voted. First of all....big vote. You've mastered this art, that's so, so obvious. Just had a very pleasant half hour browsing through this wonderful, colourful collection....Australia really is the most amazing place to live....I MISS IT SO MUCH!!! great gallery, beautiful colors. Job well done! Cheers! Beautiful gallery! You are very lucky to have such variety and colourful birds. Voted! Do you have any funnel webs in your backyard? Very nice and impressive work with many great shots! Sheila: Your photos are just stunning. It wasn't possible not to view them repetitively. You ability to capture birds in flight - and to notice such things as the layered spider web - even the artful way in which you incorporate your name in the photo - are all inspirational. Thank you for your eye and your skill! hey what type of feeder is a tasmanian devil? Very nice Galley Love Australian Birds! Hope to go there some day and photograph them in the wild! Sheila Smart. One of the best collections I have seen at pbase! I must know more. Where were they taken? What equipment? You have inspired me to do better. Excellent shots .... I especially enjoyed the portraits and close-ups; all are excellent and show the diversity we can find close to home in Australia! It has always been my dream to travel to Australia. Now I can't wait to go after seeing your pictures. I love all the green from the plants and foliage. I need to get to Australia!! You really have an eye for nature shots, Great colours and compositions. Some great photographs of some beautiful creatures. Sheila all I can say is wow. Awsome picutres. I just started with birds and find yours exciting, your quality of work shows. I noticed that you have a 70 to 200L F4 Canon but use a prime 300 allot. The sharpness is incredabl. I thought australia was just roos & cute little bears but it has a host of beautiful birds as well. GREAT JOB, Sheila. Thanks for sharing. What a glorious collection! Surely you live in critter heaven. I love photographing wildlife too, but around here what I mostly see are squirrels (grey and white)and an assortment of common birds. You say the cockatoos are destructive, well our squirrels do a good job at destruction too! A raccoon did in our hummingbird feeder so they're no longer being fed. (I was wondering why the nectar disappeared every night! What a wonderful collection of photos. I have you on my Favourites list and check it regularly to see what new goodies you have posted to amaze us. A wonderful and vibrant gallery Sheila - but I keep wanting to swat that spider... except I wouldn't be game enough to that close! Cheers - Tracy! Sheila, These are fabulous images, well done. Wonderful work as usual. You and your family must have a soft touch for every wildbird looking for a handout in your backyard. We have two large cats (see "faces" gallery) but they are so accustomed to the wildlife, they hardly pay them any attention - but I still wouldn't trust any cat! Its fairly harmless - its a huntsman spider and this was not the biggest I have seen! Its not agressive (unlike the funnel web) and there's not a Sydney house that does not have one residing in its vicinity. If I saw that spider...I would die. With the exception of the pelicans (who live down the street and the heron which lives about 10 ks away), yes they all live in and around our garden. We are very lucky living in such a place as Avalon which is a northern beach suburb of Sydney where we have such a plethora of wildlife. Avalon has a great deal of trees and we have around 15 gum trees and various other large trees in our garden and small shrubs which also attract the parrots. I haven't checked my favs folder in awhile and I'm glad I did. Just beautiful!! Do these exotic creatures actually come right up to your porch/deck? If so, what a wonderful piece of this earth you occupy. Ireally must check back more often. 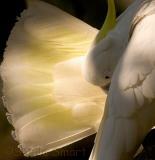 We are certainly blessed in Australia with such a wonderful array of wildlife literally right on our doorsteps. 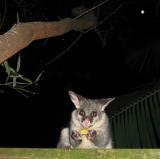 fantastic photos..I live in Berowra and have 6 brushtails on my balcony as I type this, feeding their faces. We also get lorrikeets in...up to 23 in one hit (mix birdseed with fruit and bread) and we get in the wattle birds,king parrots, rosellas, satin bowers, koals, maggies and friarbirds. Last week we had a python on the balustrade and last year a goanna! Thanks Georgia. We are blessed to live in such a lovely part of Sydney, in the best country in the world! But I'm biassed! Very nice gallery, Sheila. Your wildlife photos are stunning, especially those of the cockatoos and the lorikeets. We visited Australia last year and were amazed and delighted with the quantity and quality of wildlife. And don't forget your pelicans! I ADORE those pelicans! Nice job! Thanks. We live in a suburb of Sydney which still has many trees. We feed the wildlife also - that's why they tend to stick around! But we do ensure that they don't rely on us entirely for food. We are lucky to live in the northern beaches suburb of Avalon Beach, Sydney. The possums are regular visitors - in fact, we have four possum boxes for them in our gum trees in the garden. We have been feeding them fruit, mainly bananas for about 18 years. They are very tame - until of course, you need to put them into a cat cage to take them to the vet because on occasion they suffer from stress dermititus - then they fight like crazy! I would be interested in knowing how you came across my pbase website. I also have a gallery at Shutterfreaks.com. If I can assist in your research, please let me know. I came across your web page while researching a programme for National geographic channel. Are the possums at all regular visitors to your garden?? Where do you live? 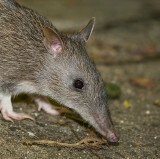 WE are looking for urban wildlife esp in Sydney.